This a personal piece for a change. I made this illustration in the spirit of the holidays to wish everybody happy holidays and the best wishes for the New Year. 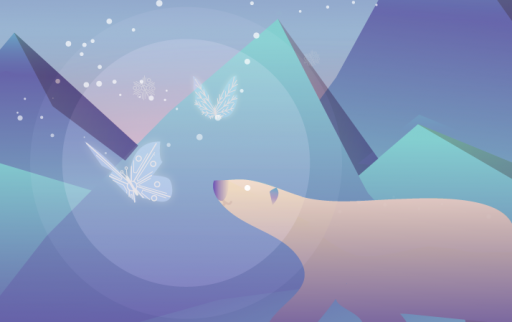 I wanted to make an illustration that had to do with a “magical winter/holiday” theme and that’s where the snowflake-butterflies came from. This led me to think about how and in which way they could interact with the rest of their surroundings. Like which place could use cold weather and snow. That’s where the polar bear came into the picture. Especially after seeing a documentary about “Gates of the Arctic” that showed that the polar bears had to wait for the water to be frozen before they can start hunting. But with each year is takes longer and longer for the water to start freezing. 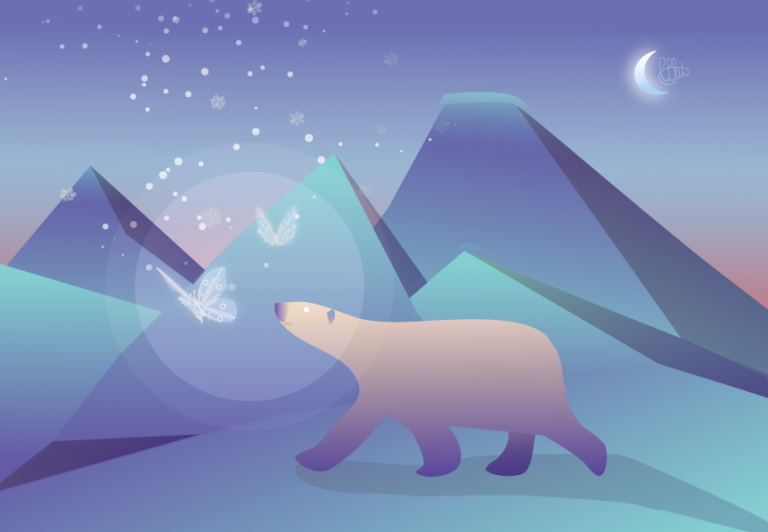 And so I thought the polar bears would gladly welcome the snowflake-butterflies with open paws to bring home the cold weather that’s necessary for their survival.